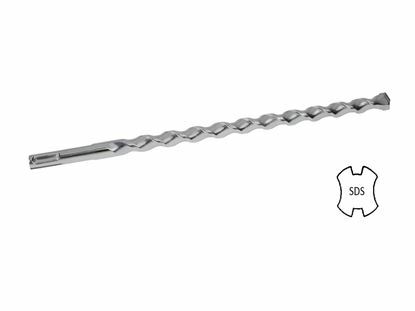 The 1/4" x 2" (two inches) Hammer Drive Anchors are preassembled and packaged with 100 pieces per box. They are a general purpose, light duty fastener that works well in most masonry materials. Because they are in stock, buy them at a significant savings that includes free freight and same day shipping. 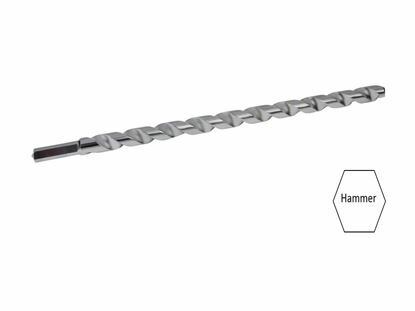 The anchor is made from Zamac body - 304 Stainless steel nail. This anchor is designed for use in Concrete, Block, and Brick. The maximum fixture thickness or the maximum thickness of the material being fastened for a anchor is 1-1/4". This will ensure that the minimum embedment of 3/4" will be met. 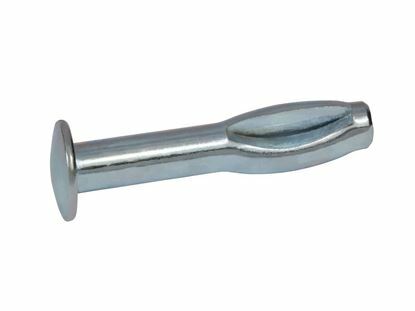 Drill a 1/4" hole into the concrete using a carbide tipped bit that meets ANSI Standards B212.15. The hole can be drilled while the fixture is in place. 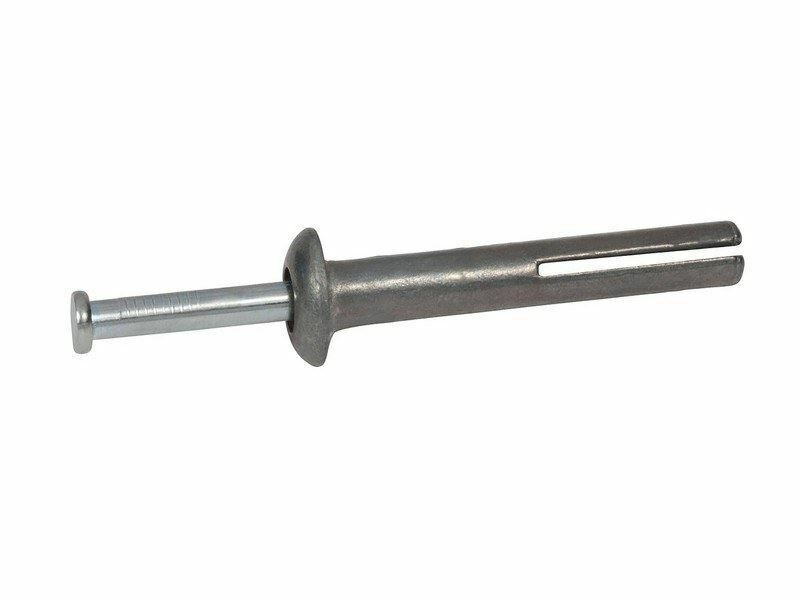 The minimum hole in the fixture for the 1/4" x 2" (two inches) Stainless Steel Hammer Drive Anchor is 5/16". 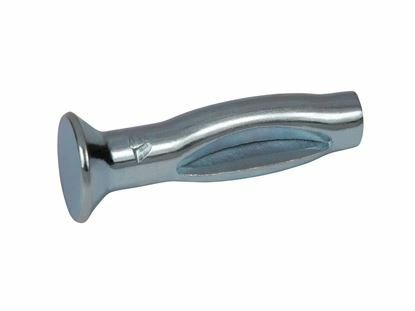 Insert the 1/4" x 2" (two inches) Stainless Steel Hammer Drive Anchor, slit end first, through the material to be fastened and into the hole, ensuring that the bottom of the head is sitting flush with the fixture plate. Always use proper personal protective equipment per manufacturers and OSHA instructions.